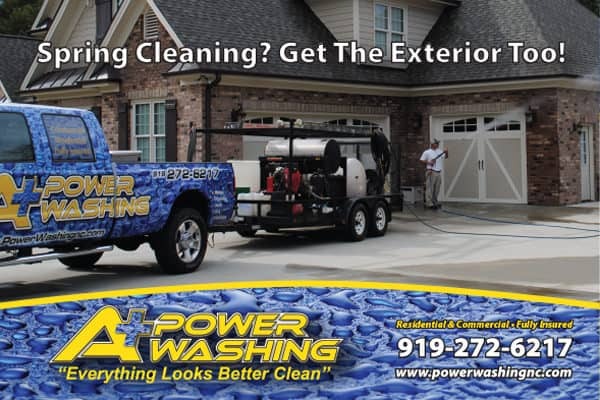 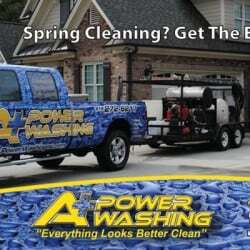 This postcard was designed for A+ Power Washing, a local Wake Forest, NC power washing company. 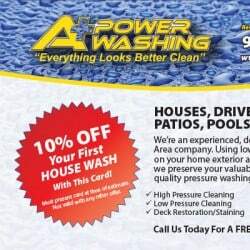 They needed a great postcard design to give potential clients and use for marketing their business. 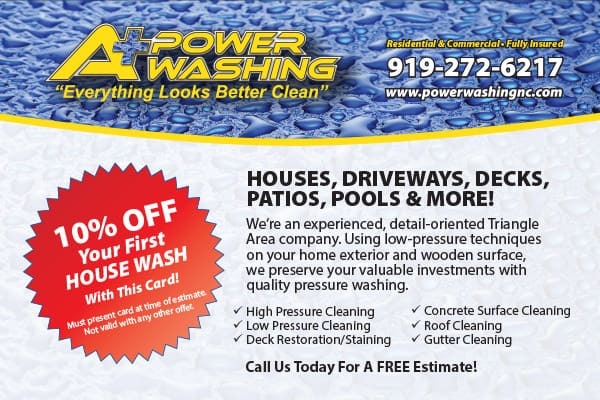 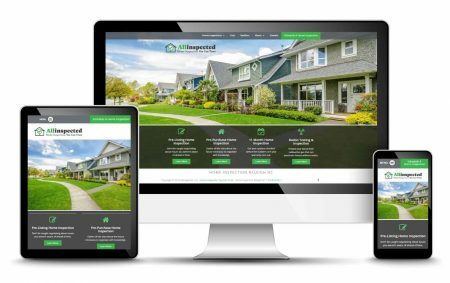 We created this postcard to be used as a handout as well as a local hand-delivered neighborhood delivery in the Heritage Subdivision in Wake Forest.